What's a fly doing there? Just soaking up the sun. A fly that landed on one of the two colorfully painted beehive columns that grace the entrance to the Häagen-Dazs Honey Bee Haven at the University of California, Davis, seemed like part of the scene. 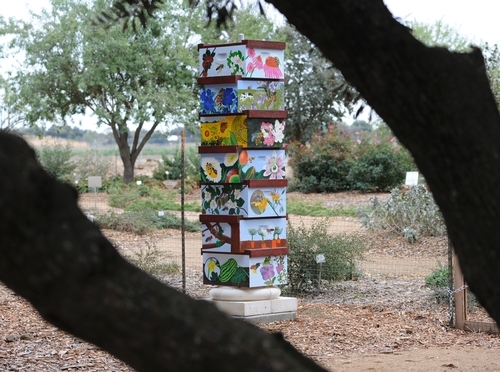 The haven, a half-acre bee friendly garden planted next to the Harry H. Laidlaw Jr. Honey Bee Research Facility on Bee Biology Road, draws many a visitor--and many an insect. It is open year around. 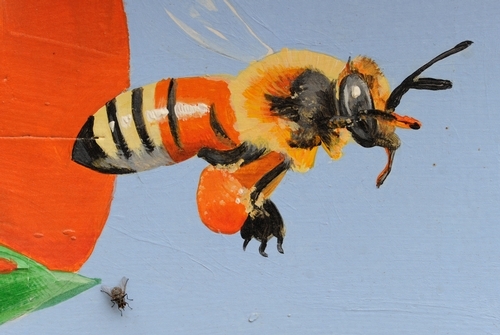 We spotted this fly next to a painting of a honey bee in flight. It knows a good spot when it sees one. UC Davis forensic entomologist Robert Kimsey loves flies. So, every chance I get, I shoot an image for him. Many of the images wind up in his classroom PowerPoint presentations. "Keep 'em coming," he says. So, I shoot flies. Yes, indeed. I shoot flies. No, I am not a candidate for a 12-step program. Well, not yet. 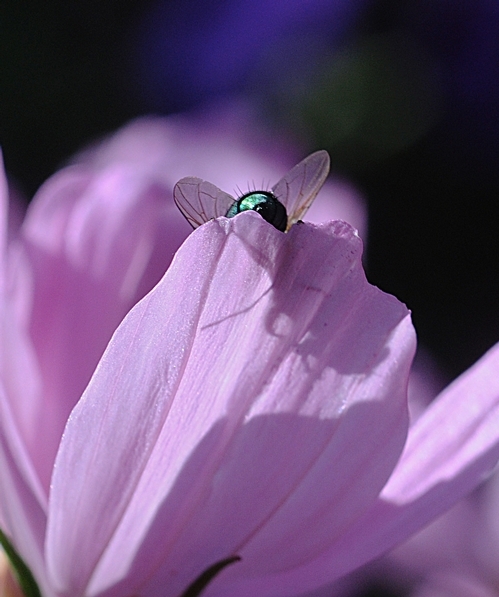 Truth is, we think of flies as noxious. 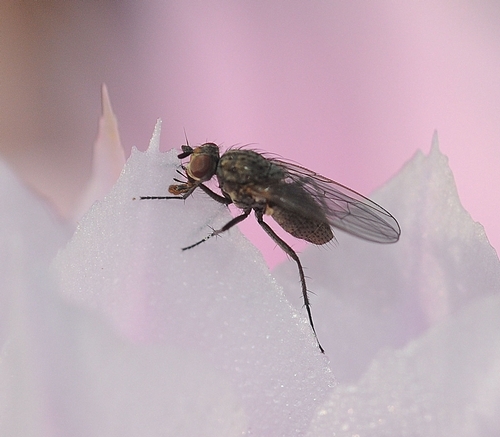 We don't think of flies as having parts like a head, abdomen and thorax--or compound eyes, arista, antenna, prescutum, scutum, scutellum, balancer and mesothorax. 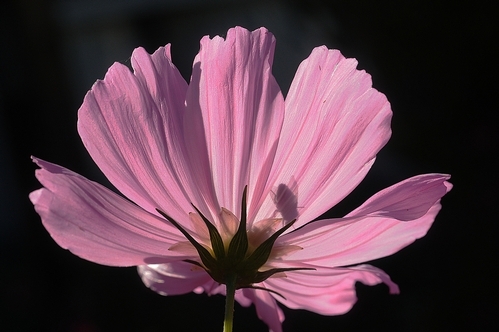 And some are even pretty--especially when they're touching down on delicate pink blossoms. Poet Gertrude Stein wrote in her 1913 poem, "Sacred Emily," that "a rose is a rose is a rose." Things are what they are. The laws of identity. No matter where I go, there I am. 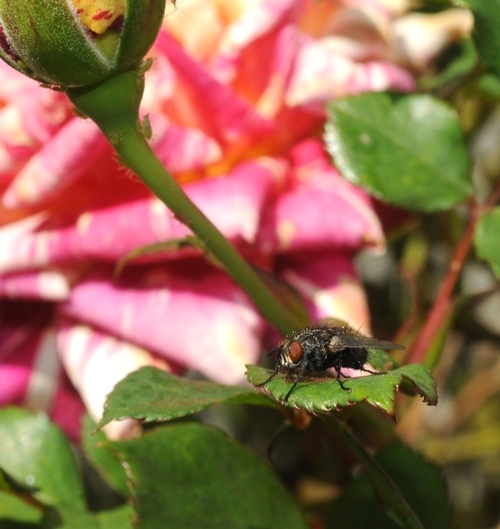 When I captured this photo last Sunday of a fly on a rose petal, I immediately thought "A fly is a fly is a fly." 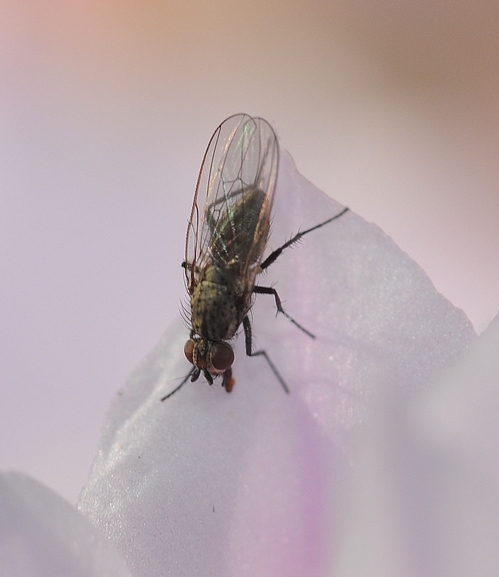 The common house fly (Musca domestica Linnaeus) commonly breeds in manure, compost piles and dumpsters. 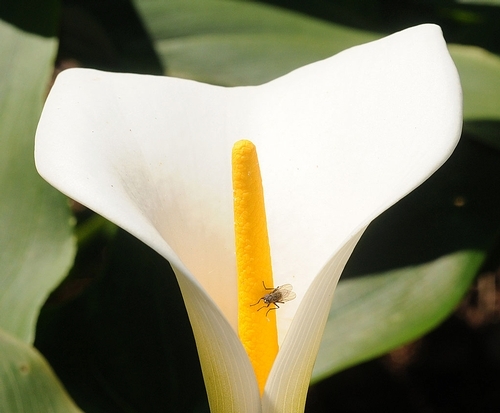 The housefly is known to transfer at least 100 different pathogens, and carry about 6.6 million bacteria on its body at a single time, according to UC Davis forensic entomologist and fly expert Robert Kimsey. It's responsible for transmitting both parasitic and bacterial pathogens as well as viruses. Among them: typhoid, cholera and dysentery (bacterial diseases) and infective hepatitis (virus). It's enough to make you "stop and fell the roses." Reuters posted a story online today about flies spreading drug-resistant "superbugs" from chicken droppings. Seems that researchers at Johns Hopkins Bloomberg School of Public Health, Baltimore, matched bacteria from houseflies and litter from poultry barns in the Delmarva Peninsula, a coastal region shared by Delaware, Maryland and Virginia. Pesearcher Jay Graham said in a John Hopkins' press release: "Flies are well-known vectors of disease and have been implicated in the spread of various viral and bacterial infections affecting humans, including enteric fever, cholera, salmonellosis, campylobacteriosis and shigellosis. Our study found similarities in the antibiotic-resistant bacteria i both the flies and poultry litter we simpled. The evidence is another example of the risks associated withthe inadequate treatment of animal wastes." They cited a Danish study that indicated as many as 30,000 flies can fly in and out of a poultry house over a six-week period. The take-home message: The increase in antibiotic-resistant baceria poses a major threat to public health. UC Davis forensic entomologist and "super fly" expert Bob Kimsey told us last October that the common housefly, which breeds in manure, compost piles and dumpsters, is known to transfer at least 100 different pathogens and carry about 6.6 million bacteria on its body at a single time. It transmits both parastic and bacterial pathogens as well as viruses. Makes you want to join the "swat team."